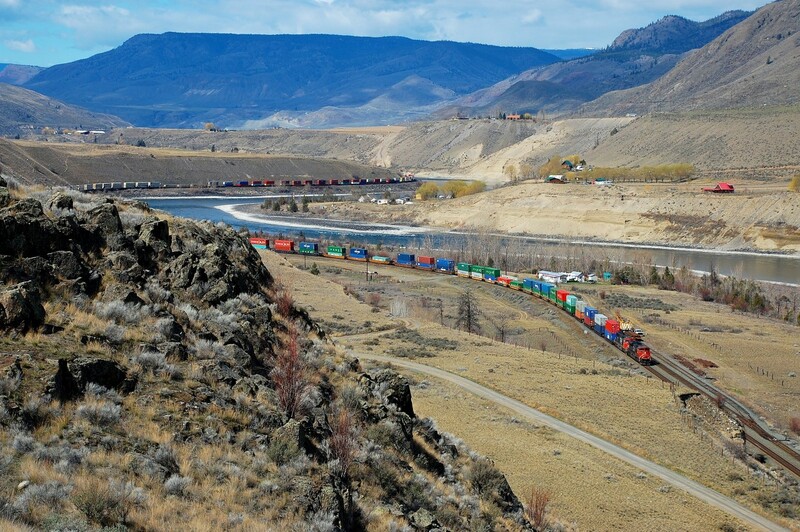 Railpictures.ca - Richard Hart Photo: An eastbound Intermodal is winding through the Thompson Valley at Walhachin. | Railpictures.ca – Canadian Railway Photography – photographie ferroviaire Canadienne. Caption: An eastbound Intermodal is winding through the Thompson Valley at Walhachin.